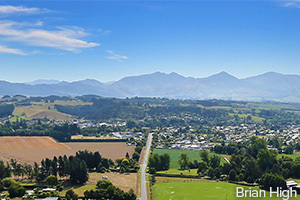 See South Canterbury Regional Highlights for more information on things you can see, do and explore in each township. The name Timaru is taken from the Maori "Te Maru", meaning " The Place of shelter". Timaru District is enjoyed by a population of approximately 44,000 people (2007), with the main population hub of Timaru City supporting a population of approximately 27,000. 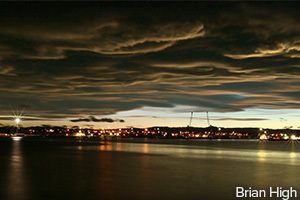 Timaru boasts an historically beautiful and compact central business district, linked to Caroline Bay recreational area. The city has preserved much of its historic heritage, both in terms of its architecture and through local treasures housed in the excellent local museum. The Aigantighe Art Gallery enjoys a well deserved reputation as having one of the best collections of New Zealand and European art to be found in any regional city. Vistas from the central city and striking Piazza, over the iconic Caroline Bay through rolling hills to the Southern Alps, are both breathtaking and memorable. Several café-bars and restaurants have taken advantage of this superb setting and are popular with both locals and visitors. Geraldine & Peel Forest is located 36 kilometres north west of Timaru and has a population of 2200. Geraldine has a country village atmosphere, offers great cafés and charming boutique shopping and is well known for its superb native forests. The town has built its reputation as a centre of arts and crafts and many creative people have moved to Geraldine from around New Zealand and from offshore. The township of Temuka is situated on State Highway 1, 19 kilometres north of Timaru, with a population of 4,000 people. It functions as a service town for the surrounding rural area. 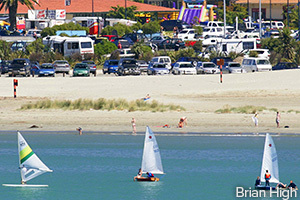 Pleasant Point is situated 19km north-west of Timaru on State Highway 8, has a population of 1200. The small but bustling township has recreational facilities to suit all, several stores and some enterprising industries. Pleasant Point is known for its historic steam train and museum and is the home of the iconic South Canterbury treat, the Denheath Custard Square. Fairlie is known as the gateway to the Mackenzie District, this charming service town has a population of just over 700. The township's much photographed Peace Avenue of oak trees commemorates locals who fell in the First World War. Excellent local cafés serve through traffic and a steady stream of South Canterbury locals enjoying a scenic drive. Tekapo is home to the highest of the Mackenzie Country lakes, is a thriving tourist town with a permanent population of just a few hundred. Visitors flock year round to view the stunning milky turqoise hue of Lake Tekapo, while the Church of the Good Shepherd overlooking the lake is one of New Zealand's best known buildings. During the busy winter ski and summer recreational seasons, Tekapo’s population swells dramatically. The Mt John observatory, near Lake Tekapo, attracts thousands of people annually to see the southern stars, free from light and air pollution. Aoraki/Mount Cook dominates the landscape at a towering 3724m, the activities on offer in this alpine resort area are as varied as the visitors who enjoy it year round. Whatever your choice, from active pursuits to relaxation and indulgence, you’ll enjoy all whilst soaking up some of the most stunning and famous scenery on the planet. Aoraki Mt Cook Village is just 12km from the summit of Aoraki, and offers a wide range of facilities, accommodation and activities. Twizel, the alpine retreat township is a recreational haven of mountains, rivers and lakes offering a huge range of sporting, recreation and leisure activities, through all seasons. Originally established as a services base of the massive Waitaki hydroelectric power scheme, Twizel has proudly grown to a destination in its own right, now home to more than 1,100 residents. Waimate has an urban population of just over 2,800 and is ideally situated halfway between Christchurch, Dunedin and Queenstown. The town centre boasts approximately 50 shops and is known for its Edwardian themed main street and impressive collection of early 1900's buildings.